Learning to ride a bike is a rite of passage for any kid. The furious pedaling, the scrapes, the training wheel wobble and of course, parents scampering after the unsteady rider or, worse, hunched over and desperately hanging onto the back of the seat. But that traumatic childhood episode may be a thing of the past, if advocates of new balance bikes, also known as “run bikes” or “pre bikes,” have their way. The bikes lack pedals or training wheels, so riders simply push along on their feet –- often at a very young age. 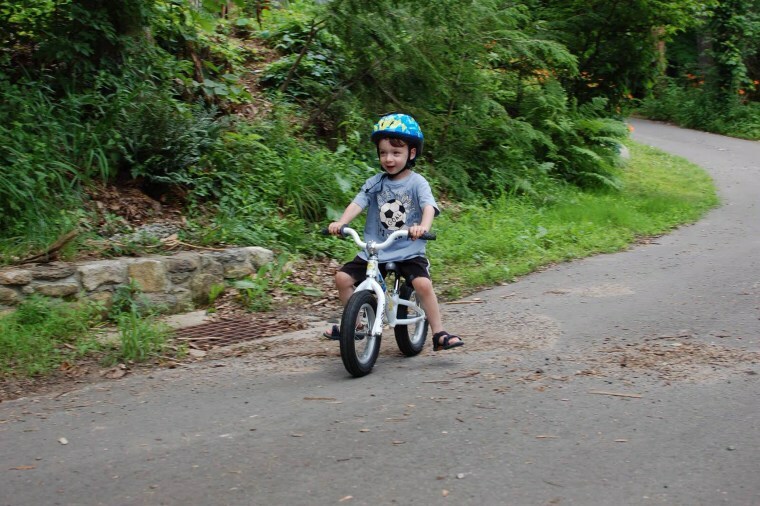 When Vanessa Havener, a Virginia mom, felt her 2-year-old son, Owen, was ready to learn to ride a bike, she opted for a balance bike rather than a traditional bike. Havener is not alone. While the squat, gearless bikes have been around Europe and Australia for years, they are only now becoming popular in the U.S.
Susan Tuck, a Melbourne, Australia mom, bought her son, Bailey, a balance bike when he was 2, as did all her friends. When he was 3, he graduated to a pedal bike and mastered it almost immediately. No crashes or tears involved. Similarly Max Kaufman was riding a two-wheeled bike with no training wheels at age 3. His dad, Adam, credits the balance bike with the quick learning curve. The balance bikes also are popular with many bicycling and child development experts. The San Francisco Bicycle Coalition teaches weekly bicycling classes in the city and, hands down, favors balance bikes for the youngest riders. Strider Sports is proof of that. Since 2007 the South Dakota company has sold 1 million colorful balance bikes and expects strong sales this holiday season. Ryan Knobbe, a fit technician for Absolute Bike in Colorado, has sold plenty of the Strider 12-inch Sport models and is an advocate for the pedal-less bikes because they help get kids outdoors at an earlier age. A light-weight yet sturdy model balance bike is going to cost you. The 12-inch Schwinn goes for around $70 and that’s at the low end of the scale. The 2014 Kinderbike Laufrad is $109, the Strider is $119, and another top seller, the Specialized HotWalk, costs $175. By comparison, a 12-inch Huffy traditional bike runs around $60 and the BMX Freestyle Kids costs $99 for a 12-inch wheel up to $114 for a 16-incher. Balance bikes are pricey, but they last, said Mary Jacobs, Strider Sports assistant marketing manager. Dave Wiseman, the owner of Wiseman Frameworks, a suburban Chicago custom bike maker and father of two girls, also says balance bikes are the way to go. “Kids will find the pedaling motion comes more naturally when they already have the balance part figured out,” said Wiseman. Dr. Tara Cancellaro, a developmental pediatrician agrees. That said, parents shouldn’t panic if their toddler hasn’t mastered two wheels at a young age. Shajahan added that teaching a child to ride a traditional bike is a bonding experience that some parents might not want to miss. Balance bikes should be sized so that children can comfortably put both feet on the ground, but high enough so that they can lift their feet and glide. Buying a traditional bike for a child requires more fitting. Look at wheel diameter, not frame size. Generally, a 12-inch wheel will fit a child from 2 to 4, though some kids in the upper range might be OK with a 14-inch wheel. Traditional bikes should be sized at a reputable bike store, with height, inseam and age all considered. Have your child test ride any bike to ensure they are able to control it safely. Most importantly, don’t forget the helmet and, of course, keep in mind that there is no particular age at which a child should be riding. 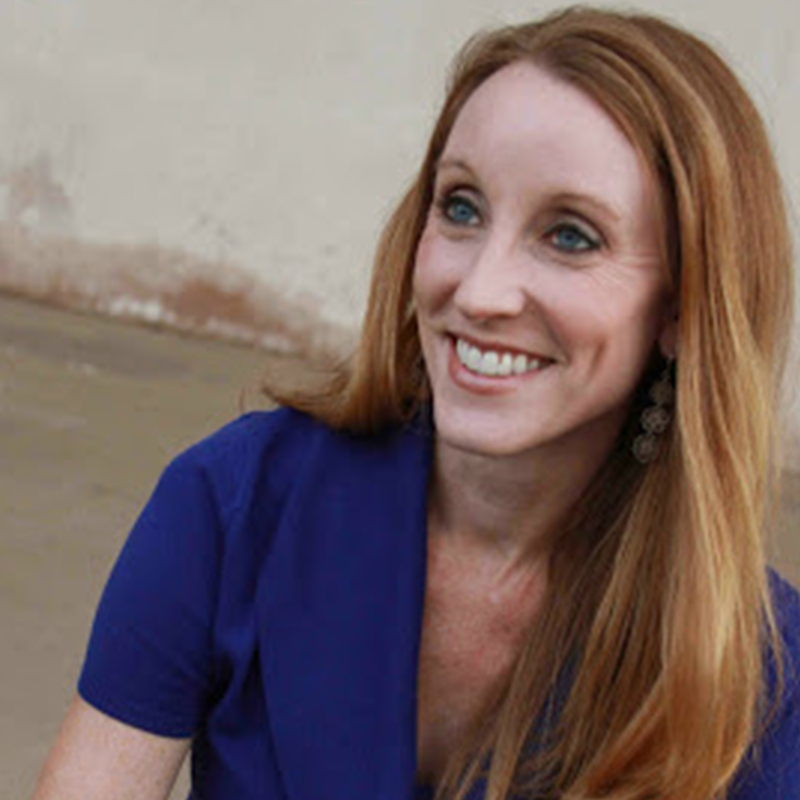 Molly Blake is a Palo Alto-California based freelance writer and contributor to NBCNews.com. You can find her work on her website www.mollyblake.com.